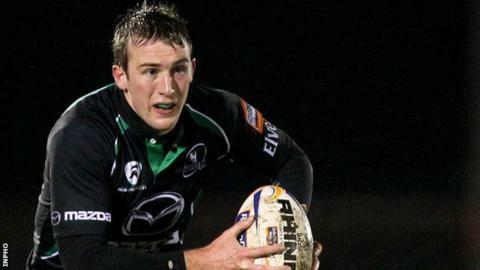 Connacht winger Mark McCrea is to join Jersey after being released early from his contract with the Irish province. The former Ulster player made nine senior appearances for Connacht, including two Heineken Cup games against Gloucester last season. McCrea, 25, will play for Jersey for the rest of the season and next year. Before joining Connacht, the Belfast High School graduate was with the Ulster Academy for two years before turning professional in 2008. He earned 25 caps for Ulster and has represented Ireland at Schools and 'A' level. McCrea was also a member of the 2008 Churchill Cup winning team, scoring a try against the USA and has three Ireland 'A' caps.